Allergy sufferers dread the coming seasonal changes, because they know they will be sneezing and scratching their eyes like there’s no tomorrow. 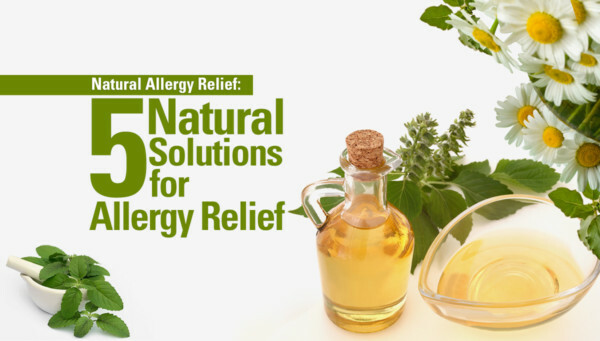 But there are a few ways that you can beat the allergy with a number of simple and natural remedies. There are drugs that can relieve the symptoms, but the best way to keep allergies at bay is by boosting the immune system, which is best done with natural solutions. One of the simplest ways to stop allergies in their tracks is by watching what you eat. You want to eat things high in alkaline and rich in anti-inflammatory properties, such as green vegetables, gluten-free grains, yogurt, and coconut milk. These foods help to boost the immune system, which is your first line of defense when it comes to keeping seasonal sniffles at bay. IV Nutrient Therapy is a powerful boost of vitamins, minerals, and antioxidants delivered directly into the bloodstream, which provides an immediate and lasting boost of energy and well-being. This specialized therapy allows nutrients to be absorbed much faster and at higher concentrations than in supplements and can help provide rapid relief from symptoms of hay fever. When the allergies strike, it’s always important to drink plenty of water, but a way to boost it is by mixing a teaspoon of apple cider vinegar and lemon juice into a glass of water. You can also take advantage of its allergy-beating properties by putting a teaspoon of apple cider vinegar into your neti pot to help flush your sinuses. There are a wide range of essential oils that work in many different ways in helping to treat or prevent allergies. Tea tree oil can be applied topically to treat rashes and kill pathogens that are the cause of allergies. You can also add a couple drops of peppermint oil or basil oil into your water, tea, or food as a natural remedy for sinusitis and other allergy symptoms. Ensure that the essential oils are meant for dietary intake. Your gut is one of the main components in having a strong immune system, so it’s important to make sure it’s in tip-top shape. The best way to ensure this is by consuming foods rich in probiotics. Yogurt is commonly available and rich in probiotic bacteria. Other great sources of probiotics include other foods such as fermented soybeans, kimchi, and kombucha tea. Probiotic supplements are also a suitable alternative if you cannot get enough probiotics in your diet. At Rai Chiropractic we see a lot of people with allergies. When you are properly aligned and adjusted your nervous system adapts better to stresses. For more tips on health maintenance come visit our clinic in Langley. At Rai Chiropractic, we have a number of healthcare professionals that can help you feel restful, decrease stress, and feel healthy again.